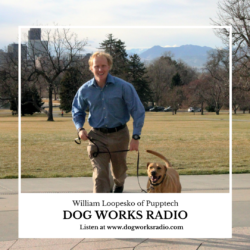 Join host Robert Forto as he welcomes William Loopesko, the founder of PuppTech, a cool new company that makes a product that allows your dog to remain safe in your car, at dog shows and more. William left his career as an engineer two years ago to start PuppTech out of a desire to spend more time adventuring with my dog, Clovis. He holds a BA in Engineering from Bates College and a Masters in Engineering from the Colorado School of Mines. On any given day, you can find him coding, running, or hiking a 14er — nearly all of which he does with Clovis. William believes that all dogs, especially working dogs, deserve to travel safely with their owners and to have just as many adventures.